Up to now, your protagonist will have been struggling under the burden of his Lie. He’s still overwhelmingly convinced he can’t possibly live without it. But the First Half of the Second Act has altered him, probably without his even realizing it. He’s ready for a big change. The Midpoint is that change. It prompts the character to turn away from the effects of the Lie, if not the Lie itself quite yet. The Midpoint caps the reactions in the first half of the book and sets up the chain of actions that will continue in the final half. The Midpoint changes the paradigm of the story. The Midpoint requires a definitive and story-altering response from the characters. The Midpoint should be negative if the First Plot Point was positive; it should be positive if the First Plot Point was negative. The Midpoint occurs at the 50% mark. Director Sam Peckinpah referred to the Midpoint as a story’s “centerpiece”: it’s big, impressive, and the center of attention. Your Midpoint is an important opportunity for a killer scene. In his book Write Your Novel From the Middle, James Scott Bell recommends starting your plotting with your Midpoint, so you can plan your entire story around this moment. In discussions of plot structure, the Midpoint’s emphasis is always placed on the protagonist’s shift from a reactive (not in control of the conflict) role to an active (taking control of the conflict) role. This is the fundamental turning point in your book. Without this shift, you have no evolution, no variety, and no story. But, taken at face value, this explanation of the Midpoint is incomplete. Where, after all, does this shift come from? It comes from deep inside the character. It comes from the heart of his character arc. At the Midpoint, the character ceases to survive merely in a reactionary role and begins to take definitive action in overcoming the antagonistic force. He does this not because his goal or his determination to achieve that goal have changed, but because the Midpoint is where he will gain a better understanding of both the external conflict and his inner self in that conflict. In other words, he finally sees the Truth. Stanley D. Williams calls this the “moment of grace.” James Scott Bell calls it the “mirror moment” (since it metaphorically—and sometimes literally—involves the character looking in a mirror and seeing the truth about himself). The character has been seeing evidence of the Truth throughout the first half of the story, but the moment of grace at the Midpoint is where he finally accepts that Truth. He accepts it not just as a universal, generic truth, but as a Truth that is the key to achieving his plot goal—the Thing He Wants. This does not mean the character rejects the Lie. It’s still too early in the story for that. But the Midpoint shows him the importance of the opposing viewpoint. Consciously, he will continue to claim he believes the Lie throughout the rest of the Second Act, but subconsciously, he will begin to act in harmony with the Truth. For example, the murder of Po-han at the Midpoint in Richard McKenna’s The Sand Pebbles forces protagonist Jake Holman to face the Truth that it’s impossible to stay personally neutral while in the midst of a war. He would still claim neutrality at this point, insisting the morality and politics of war were something for the officers to “fool with.” But his actions, as he plots to desert the Navy, prove that, deep in his soul, he no longer holds with that Lie of neutrality. At this point, your character is now a divided person: caught between the Lie and the Truth. The fact that he doesn’t yet have a complete understanding of how to implement his new knowledge of the Truth is the reason he will not yet be able to achieve total victory in the remainder of the Second Act. How Does the Midpoint Manifest in Character Arcs? Cars directed by John Lasseter: After losing the race to Doc, Lightning still believes just as firmly as ever that he works best “solo mio.” But he’s also now faced with the Truth that he needs help. He can’t figure out how to make the turn on the dirt racetrack without Doc’s help. He doesn’t want to admit that Truth, but, deep down, he knows it’s true. He goes tractor tipping with Mater and finds himself having to further admit that he likes Mater and has fun with him. His moment of grace sneaks up on him when he starts complaining about his Rust-Eze sponsors, only to realize he’s also criticizing Mater. Miss Sally emphasizes the new Truth by reminding him that Mater trusts him and that, in having a friend he can trust, he also has to be trustworthy himself. Lightning responds nonchalantly, but his actions in helping in the town in the second half will bear out that, in his heart, he believes this new Truth. 1. 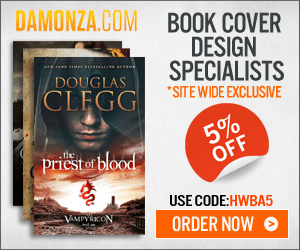 What personal revelation strikes your protagonist at the Midpoint? 2. 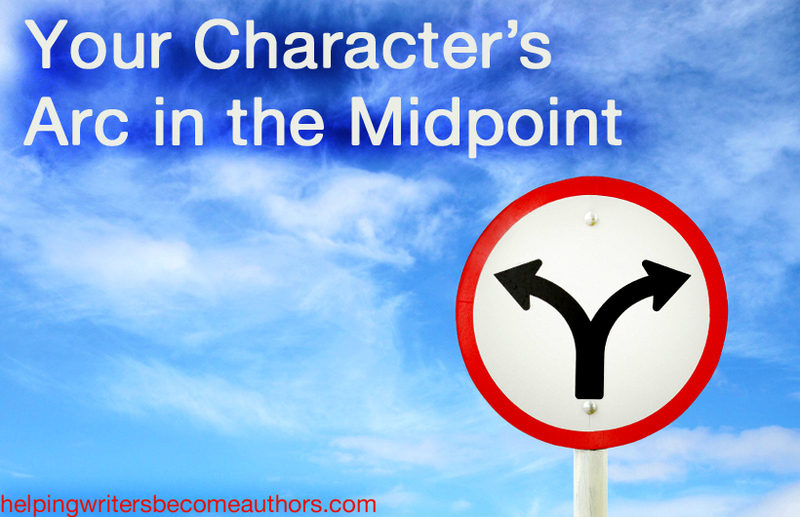 How is your protagonist different at the Midpoint from who he was at the First Plot Point? 3. How does the revelation at the Midpoint prompt the character to move from reaction to action by providing him the knowledge to start taking control of the conflict? 4. What definitive action will your protagonist take against the antagonistic force? 5. What new understanding of the conflict does the protagonist gain at the Midpoint? 6. What new understanding of himself does the protagonist gain at the Midpoint? 7. What is his moment of grace? What Truth does he recognize and accept? What causes him to accept it? 8. How is your character still consciously clinging to his Lie? 9. What actions is he taking that are based on the Truth? 10. How does the contrast between the simultaneously held Lie and Truth evolve his inner conflict? The Midpoint is one of the most exciting moments in your story. It’s the moment your character finally gets it. The puzzle pieces fall into place. He realizes what he must do to win the conflict, and he adjusts his actions accordingly. This isn’t an overnight transformation. It’s a build-up of everything he’s learned in the First Act, and he will continue to refine his understanding of the Truth throughout the remainder of the Second Act. 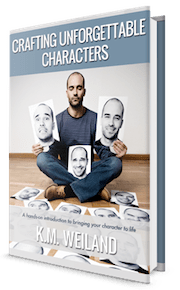 When planning your Midpoint, identify the Truth your character must recognize and create a mind-blowing scene to support it. Done right, it will end up being one of the most memorable chapters in your entire book. Stay Tuned: Next week, we’ll be talking about your character’s arc in the Second Half of the Second Act. Tell me your opinion: What does your character realize about himself and the conflict in your story’s Midpoint? How very excellent this is. And dead on. Thanks for this, and the rest of this series. Thanks for reading! I’m glad you’re enjoying the series. Arcs can be tricky. The whole story revolves around them, but unless we plan them upfront, we don’t always understand how to integrate them into the plot as we go. Keep in mind that she won’t completely and consciously give up the Lie at the Midpoint. The shift here is usually conscious only in how it directly affects the external conflict at this point. The character is embracing the Truth here, but won’t fully reject the Lie until the Third Plot Point. Excellent as usual! Are you going to turn this series into a book to tie all of the posts together with more points/examples and other stuff like your other two guides on structuring and plotting? If so, that would be great. That’s the plan, eventually, but it will be another couple of years before it actually manifests as a book. Kool beans! It’ll be worth the wait. This is exactly what I needed! It’s helped me pull all sorts of details together and my story pieces are beginning to fall into place. And it’s giving fresh vigor and thrill to my entire writing process! 🙂 Thanks so much!!! Awesome! I love it when those thrills hit. Best part of the process, just about! This is an excellent series!! I’m so glad you’re enjoying it! I’m having a lot of fun putting it together. In editing my first draft and will soon be approaching this section. Great tips. Thank you! The Midpoint is always an exciting moment. Have fun! I’m rechecking my midpoint of my WIP:) Now, I find myself looking in novels for the lie, the ghost, the midpoint etc. Love reading your articles! I adore that logical side of being able to read a good book. I always start geeking out when I can identify the important moments in structure and character arc. If anyone was wondering what makes editors tick, it’s pretty much that. What a great post in a great series! I’m curious what if my First plot point was negative and I want the midpoint to be negative as well, does it will have structural consequences in my WIP? The idea is that the varying “charge” of the plot points allows for both variety in the plot and the necessary progression in the character’s evolution. All of story is a shifting back and froth from positive to negative to positive (each scene that opens on a positive note should end on a negative one–and vice versa). So I would encourage you to find a note of positivity (perhaps even just the Moment of Grace) in the Midpoint, even if the event itself seems overwhelmingly negative. I mean, seriously?! You’re blowing my mind. I feel like I’m at the Midpoint right with my protagonist, both of us teetering over the edge. I had no idea what the behind the scene structure of novels (and screenplays) looked like. 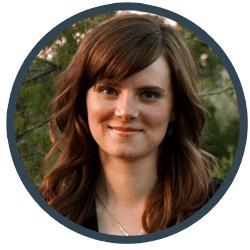 As primarily a short story writer, I had gotten so comfortable with that form I could almost fly blind, but with the first draft of my novel i was flying blindly – and not gracefully – on intuition alone, but I see now it’s a combo of both. Thank you, again! This “moment of grace”… It doesn’t have to be applied literally to those moments which humans traditionally think of as having grace, right? Like the recognition of innocence in the smile of a child, or helping an old person cross the street? For example, could it be a murder? In the context of, say, the empowerment of a protagonist who has been steamrolled his/her entire life? And who is done taking crap and is taking back power? And feels free for the first time in his/her life and is humbled by this? Definitely (and particularly, I would say if the protag is in a negative change arc). The moment of grace is all about the character being offered the overarching Truth of the story and either accepting it or rejecting. The qualitative “good” or “bad” of the moment, the Truth, or the character’s actions are irrelevant. I believe that the 3/4 point is a sort of opposite of the climax: if the protagonist wins in the climax, then the 3/4 point is the low point; if it’s a tragedy and the protagonist loses in the climax, then the 3/4 point is a high point, where everything is going the protagonists’s way, he’s on top of the world, and then his fatal flaw asserts itself so that he makes his final mistake which causes everything to start crashing down. But how is the Midpoint related to the Climax? If I know what the Climax is, does that help me determine what happens at the Midpoint? Some authors assert the Midpoint is the opposite of the First Plot Point (happy First Plot Point, tragic Midpoint, and vice versa), but I don’t recognize a blatant pattern here. Hi Katie, I’m struggling to figure out the best way for my protag to realize and subconsciously accept the truth. My protag is struggling with two massive conflicts, an external conflict of protect his village and nation from oncoming devastation, and an internal conflict of major depression. Now I admit my solution to my protag’s depression likely won’t be applicable for all forms of depression, but I want to tackle this while being as delicate and respectful as possible on the topic. I believe my protag needs to learn that his own life already has value, but he won’t be able to observe that value so long as he chooses to deprive himself of unconditional self-love. Now I’ve tinkered with a variation of ways to reveal this truth to him: Showing the protag how the antag is suffering from the same affliction and is worsening because of it; Showing the protag how he himself is suffering because of it; Showing the protag how others prosper because they don’t fall into the same mindset. None of these however has really triggered my instincts into jumping up and saying “That’s definitely what I need to do”. That being said, do you have any tips on how I might reveal that truth to my character, or how to realistically get him to accept it subconsciously? The option that jumps out at me is “showing the protag how he himself is suffering because of it.” The Midpoint/Moment of Truth is a great opportunity for what James Scott Bell calls the “mirror moment.” He talks about it some in this post. I guess in the end that’s the best option after all. I’ve suffered major depression myself, and the most surprising revealation to me was realizing that the world wasn’t damaging me so much as I was damaging myself needlessly by refusing to forgive myself for the smallest little actions or mistakes. I suppose I forgot what precisely made me change, but looking back I’d say it was the notion that I was the source of my own trauma. Thanks again for the insight Katie! Also just as a suggestion I tend to think your own advice is a little more helpful than James Scott Bells in terms of midpoint. It’s interesting that he came up with the notion of starting at the middle, but imo he sort of just explains why it’s a great idea rather than explaining how to implement it properly.